A firearm is dangerous by itself, let alone leaving it sitting anywhere at your home. That being said, having a gun safe is a necessity to any gun owner. Having one lets you practice absolute gun safety and is crucial if you have children at home. You may be looking to buy a gun safe, but still unsure which one to get. 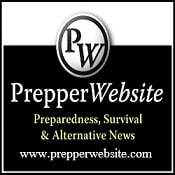 Luckily, we have several reviews on this page that will help you start on your way to finding the perfect safe for your guns and the rest of your weapons, if there’s any. Below, you will find multiple gun safe reviews that go deep to the quality, design, features, brands and models of each. Because we know how important it is to protect your valuables, firearms and family, we have created a comprehensive buyer’s guide that will help you get the right answers before making an investment. 1. 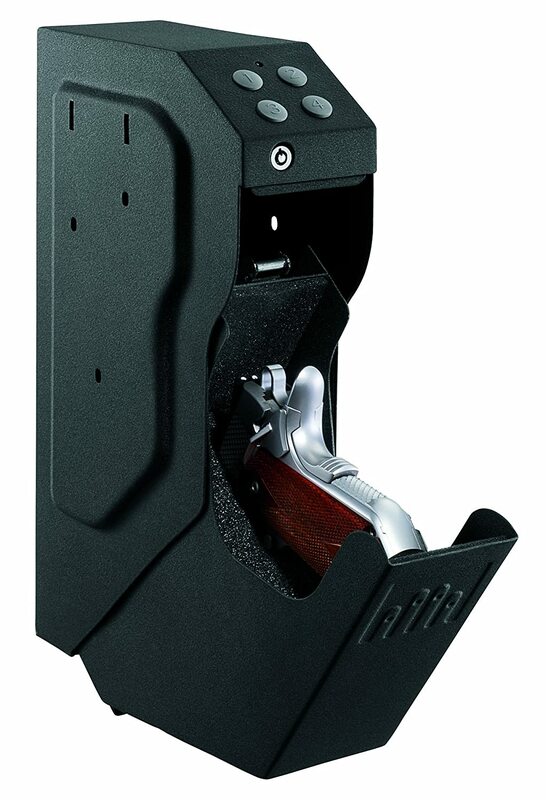 GunVault Handgun Safe (View on Amazon.com) -Revolutionary design, fast and discreet – these are the main selling points of this top-rated gun safe. With this handy keeper, you can protect your firearms safely while securing your home and getting yourself ready for action anytime. The item weighs 8.2 pounds and features an 18-gauge construction made out of steel. The drawer uses fast activation technology, which allows for easy access of the gun inside. It also highlights several mounting options, with all the hardware included within the package. In case of emergency, a backup override key is also available for use. We give it a 4.3 out of 5 stars. –Do you own a rifle? Do you have other sensitive gadgets? Then, this biometric safe is your friend. Not only for rifles and handguns, this convenient storage device can also safekeep your jewelries, video cameras, laptops, as well as your tablets. Want to protect important documents? You can also keep them here. Security is good because of biometrics, which can store up to 120 individual users. BARSKA Biometric Rifle Safe can store up to three rifles at a time, with a removable shelf included that’s meant for your ammo and handguns. We give it a 3.9 out of 5 stars. –Convenience is the key attribute of this minimalist gun safe. The item is California Department of Justice-approved, meaning it has what it takes in terms of safeguarding dreadful firearms. While the cost is inferior compared to its counterparts, the quality is not compromised in all aspects. 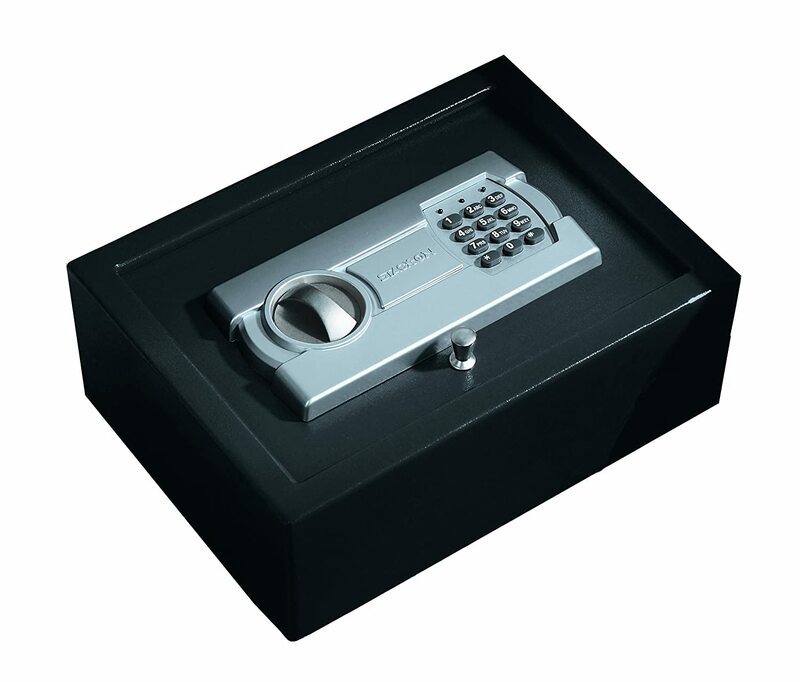 Geared with an secure electronic lock, the safe be configured with a simple override of a safety key. In case of three consecutive password attempts, it will set off a certain time out period. 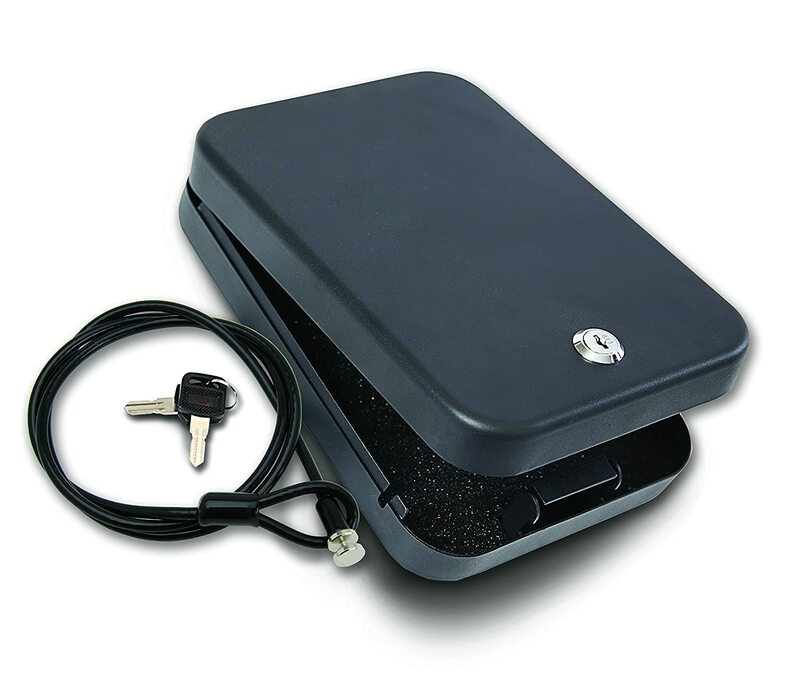 The safe can be mounted on the floor or wall, using the fastening hardware that comes with the package. The Stack-On Safe is considered one of the highest rated items in the internet, We give it a 4.3 out of 5 stars . 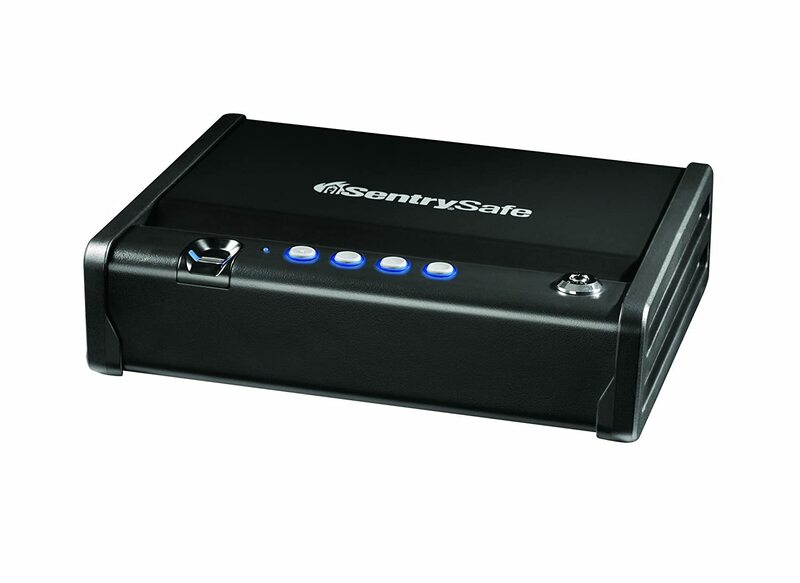 –Another reliable ally that uses the biometric technology is Sentry Safe. This mini gun safe can house a full-size handgun or a J&K size revolver. While it is protected by fingerprint detection, you may also set a password combination, whichever you find more convenient. The top lid operates whisper-quiet and allows for quick access to your firearm, which is essential at times that you have to defend your valuables and family. The construction is compact made out of stainless steel, a heavy duty 12-gauge to be exact. We give it a 4.5 out of 5 stars. 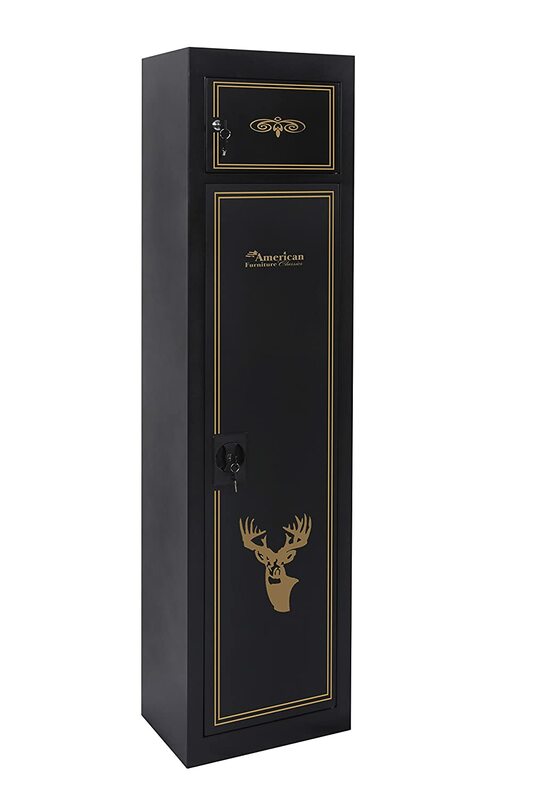 –Beneath the plain exterior of this handgun safe lies a reliable storage for full-size pistols, which is reinforced by 18-gauge stainless steel. Inside the SnapSafe is generously lined interior, topped with ½ inch memory foam to keep your gun from getting scratches. For better security, the item includes an upgraded security cable. Easily lock your handgun using its simple key lock system.Two keys included on every package. We give it a 4.6 out of 5 stars. – This metal storage for weapons allows you to keep the long guns such as rifles separately from your small firearms. Both cabinets have individual lock systems, which uses 3 point locks for upgraded security. Rest assured your guns will stay in their best condition while stored inside because of its carpeted floor and soft-foam-coated barrel rest. We give the American Furniture Gun Metal Storage a 3.5 out of 5 stars. 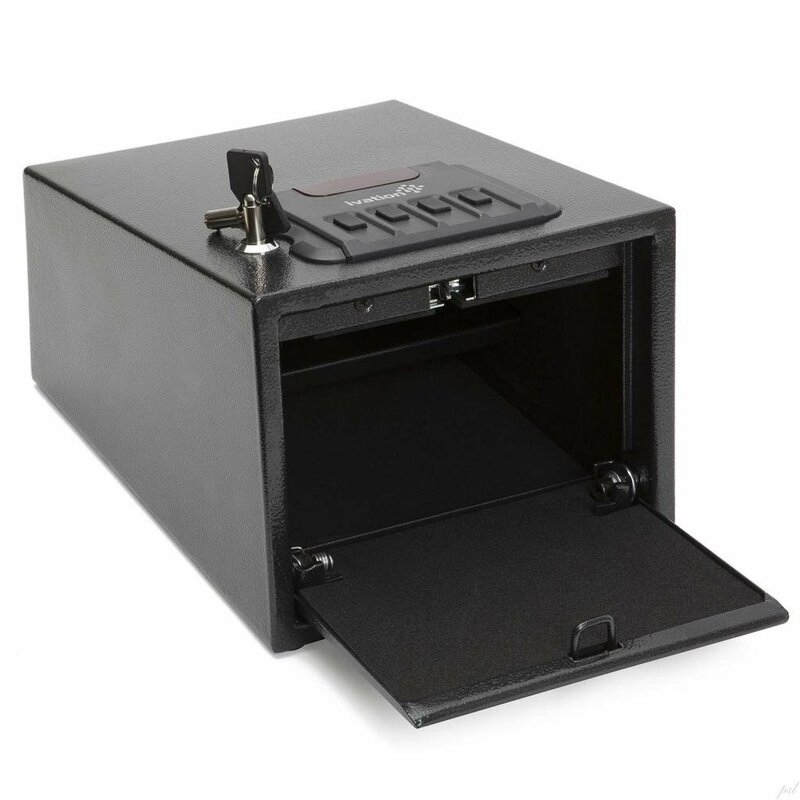 –Ivation lets you have peace of mind with its high-strength gun safe with a powerful locking system that’s impossible to force open with handheld tools. Inside the gun safe is soft foam lined interior, which houses a removable shelf that’s useful if you want to modify the safe’s layout. Outside are four lock buttons, which are rubberized for easier pressing. The security mechanism is geared with an onboard computer that blocks access in case of repeated wrong keypad entries. Ivation Electronic Safe is powered by 4 AA batteries. We give it a 3.5 out of 5 stars. Undoubtedly, you’ll never go wrong with these safes on hand. Get one for your home today to ensure that your family, property, and yourself stay well-protected at all times.